The focal point in most homes during the holidays is the Christmas tree, and throughout the state of Montana, Christmas tree farms are plentiful. There is simply so much variety – farms offering pre-cut, pre-packed or cut your own. Though permits are needed for Christmas tree cutting in Montana’s forest areas, the whole event can be a fun family outing. The Copenhaver Plantation in Missoula offers just that. This 12-acre spread specialises in self-select or self-cut trees, as well as festive wreaths and fresh greenery. Among their selections are Douglas and Canaan Firs and Austrian Pines and they will provide saws. For the less adventurous, they will cut your tree for you, but it doesn’t end there. To make your day complete and help keep out the winter chills, free hot chocolate and coffee is offered around a campfire. For opening hours, call them on 406-549-4983, they’re well worth a visit. Also, visit https://copenhaverplantations.wordpress.com. A delightful festive variation is Bitteroot Evergreens in Victor. They hand-craft stunning wreaths of fresh fir boughs decorated with juniper berries and pine cones. A large red velvet bow completes the effect. The wreaths are tightly sealed to help keep the fresh Montana fragrance. Their wreaths are sent anywhere in the states, and include a personal festive greeting. For $30.50 (plus handling and shipping), you can make someone’s Christmas visually unique. For details phone 866-642-3618. Visit http://evergreenwreath.com. Christmas trees and festive wreaths are not the only attractions at this time of year. Any family with children will know the importance of a visit with Santa. Montana is no exception. At a large number of Christmas tree farms, Santa generally arrives between 12 p.m. – 3 p.m. mainly on Saturdays (and some Sundays). Entry is usually free, but there may be a charge for a photograph, so by all means bring your camera. Winter villages, themed parks and rides through Christmas lights are a feature in some farms. While at others, equally festive themes often include miniature North Poles and reindeer. If you are up for a trip through snow in a sleigh, visit the Beartooth Wagon and Sleigh Rides in Red Lodge for a festive sleigh ride with beautiful draft horses. With more than 10 years’ experience, they welcome groups large and small and will offer you warming refreshments around their bonfire. For more information and reservations, call 406-446-2179. Or visit http://www.beartoothwagonandsleighrides.com. For Christmas celebrations on a much larger scale, head for Madison County’s Big Sky Resort, south of Bozeman. Here you can indulge in fine dining, exceptional lodging and some of the “Biggest skiing in America”. Established in 1973, the resort has grown steadily in the last 40 years to provide 5000 acres for skiing. Three quarters of which makes up the resort. Adults are well catered for at Big Sky Resort. While skiing is the main theme, other activities will ensure your days are full of variety. If you’ve ever wondered what a triple-drop zipline experience is like, this is certainly the place to try one. If that seems a bit too extreme, indulge in a gentle guided snowshoe tour around the pastoral, winter delights of the area. A relaxing way to enjoy the scenery at a leisurely pace. If you prefer the weight off your feet, snowmobile tours can be arranged around the Spanish Peaks district. Big Sky also offers guided snowcoach trips and sleigh rides through the winter wonderland of Yellowstone Park. Younger family members are well looked after at the Lone Peak Playhouse. Skiing lessons are on their agenda, with helmet, boot and ski rental available in the Snowcrest Lodge. With incredible terrain and breathtaking scenery at its heart, the Mountain Village is the centrepiece when it comes to lodging, shopping and all things sociable. The Village accommodation suits all tastes from the plain, simple and practical to alpine cabins and full-volume luxury. Choose from over 800 hotel rooms, condos, cabins and suites. They are all conveniently located right alongside the slopes. To help you indulge in a culinary experience, the Village features more than 30 restaurants and bars. Their choices range from nachos to fine Italian cuisine. Sing along at Whiskey Jack’s. Listen to folk tales at the Carabiner, or visit the Roosevelt Amphithearter. The choice is endless. Right on the doorstep, the Village stores offer wide and varied Montana giftware as well as designer clothing, outdoor wear and so much more. After all this indulgence, there’s no better way to relax than by visiting the Solace Spa. Offering facials, mineral baths, massage and steam rooms, the cares of the day simply vanish. 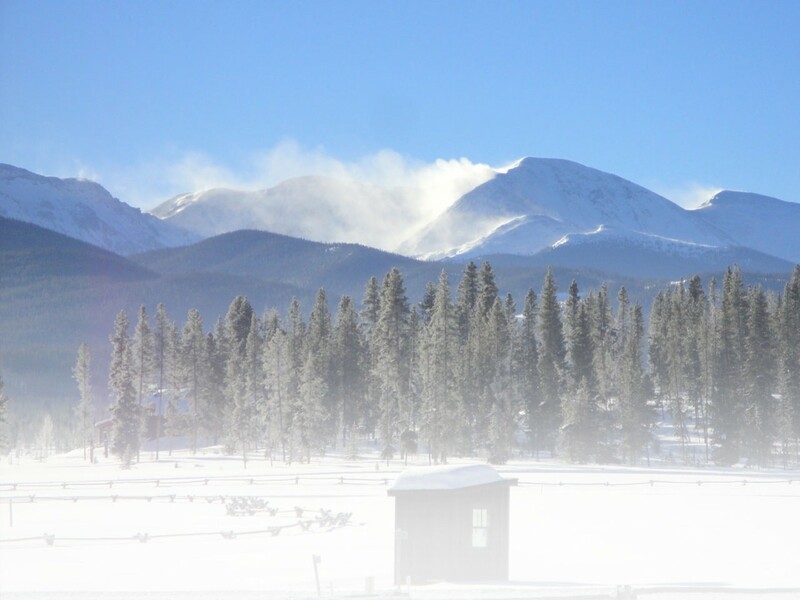 Big Sky Resort re-opens this year for the winter season on November 27. For more information on Big Sky Resort, visit http://www.bigskyresort.com. Montana at any time of year is an unforgettable soul soothing experience. It is a State of rugged, serene beauty, with deep pine forests and wide open, sprawling prairies. In Winter, Montana wears an even more stunning cloak. One that transforms the whole territory into a real life wonderland. This festive season, why not come and experience Montana in winter for yourself. There’s so much to do and even more to see. This entry was posted in Destinations, Features, Homepage Featured and tagged Beartooth Wagon and Sleigh Rides, Big Sky Resort, Bitteroot Evergreens, Copenhaver Plantation, Lone Peak Playhouse, Missoula, Montana, Red Lodge, Victor by Nigel Boney. Bookmark the permalink.